SP+ Chicago Team Steps Up for Kids—Literally! 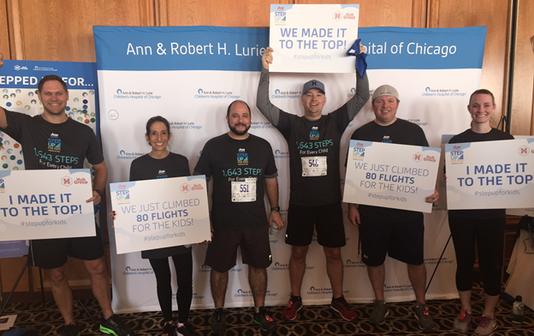 Participants from Chicago Operations and Support recently climbed 80 floors at the AON Center in Chicago (where the SP+ office is located) to raise funds for the 21st Annual AON Step Up for Kids event. The event raised more than $620,000 to benefit the Lurie Children’s Family Services Department, which focuses on the mental, emotional, and spiritial well-being of patients and their families. Great job by the SP+ climbers!